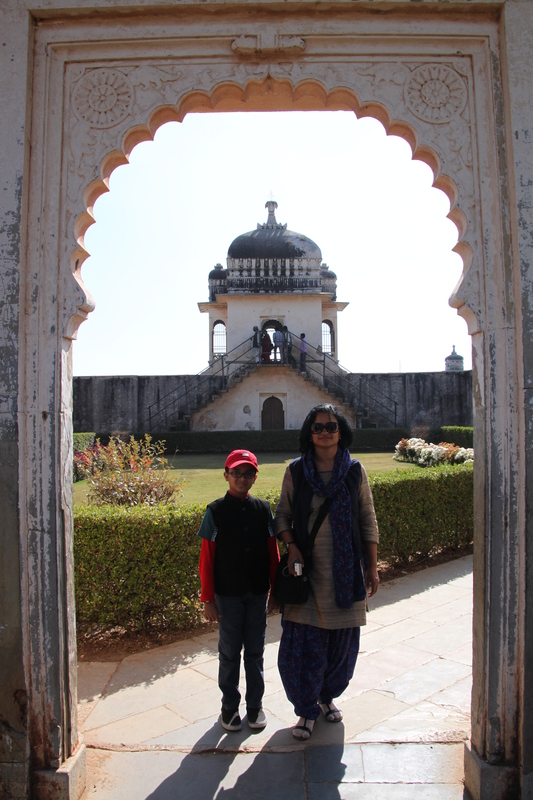 From Udaipur, the drive to Chittorgarh is a good two hours by road. The drive through the beautiful city of lakes is very pleasant, as we head North-East. As we approach Chittorgarh, the two famous towers become clearly visible, as are the fort walls that extend over a vast area, overlooking the town of Chittor. 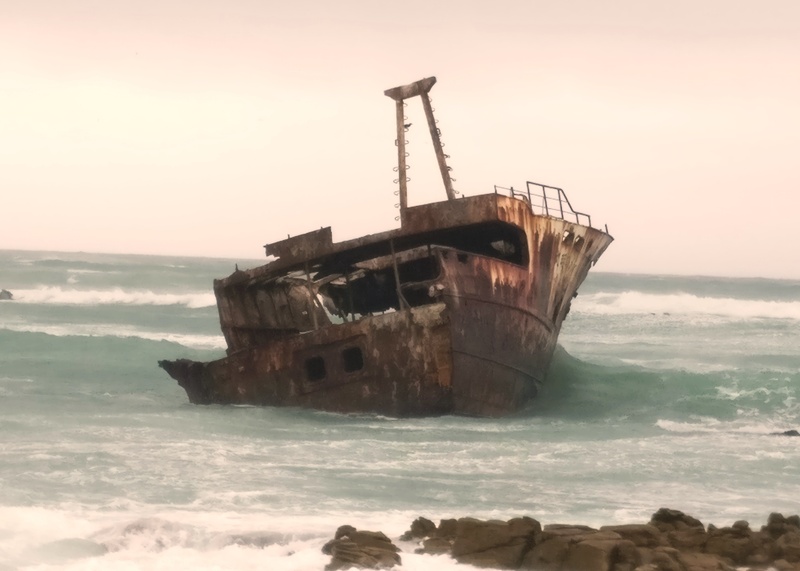 This time of the year, when things are drawing to a close, people usually set off on family trips. Not surprising therefore to find that there are already hundreds of visitors thronging the entrance to the fort! 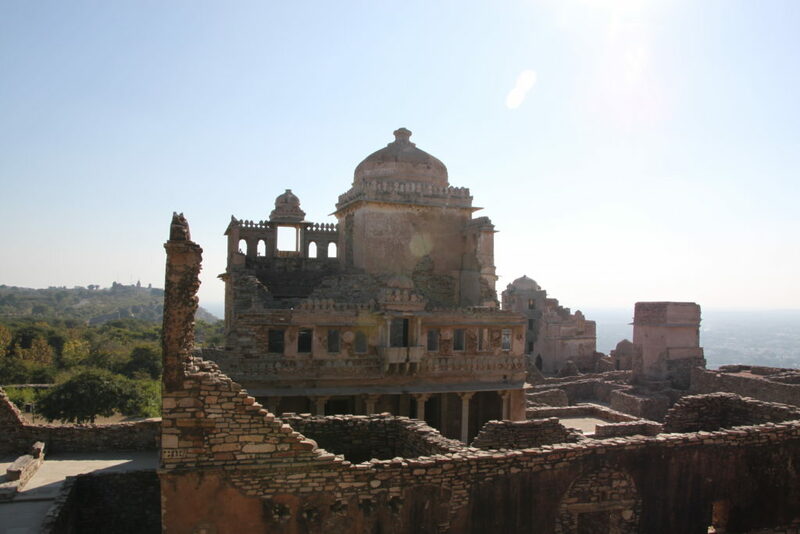 Chittorgarh covers a massive 700 acres, spread over 13 kms in its’ periphery, on top of a majestic hill. It looks grand and I wouldn’t be wrong if I said you can actually smell history from a distance! 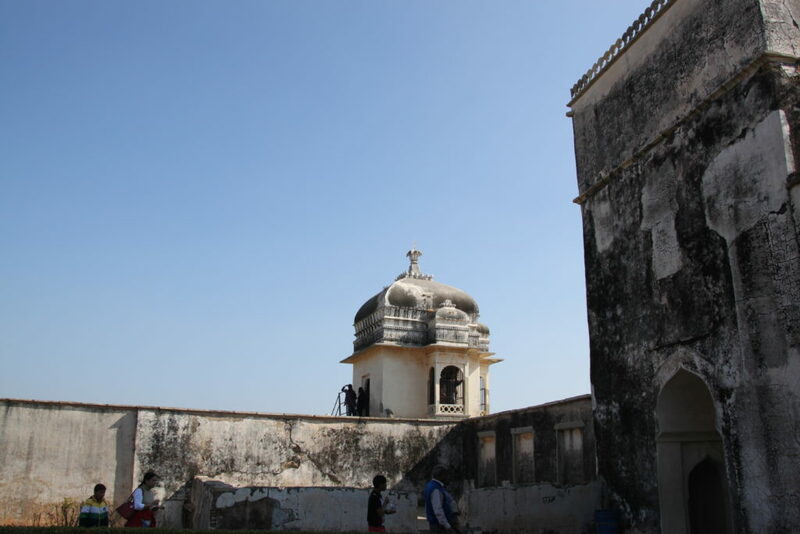 From the point of its’ historical significance, this fort is a standing sentinel to the courage and valour of the Rajputs who valiantly fought and defended themselves,, be it, when Rana Ratan Singh lost to Allauddin Khilji in 1303 or two hundred years later, when Bikramjeet Singh conceded defeat at the hands of Bahadur Shah, the Sultan of Gujarat. Even when Maharana Udai Singh II lost to Akbar in 1567, he refused to give up, but was finally compelled to leave the fort. Incidentally, it was he, who eventually founded the city of Udaipur. We are driven up a rather long, serpentine road to the fort, which is shaped like a fish, rising abruptly above the surrounding plains. We took the advice of a friend that hiring a guide is a must to savour the local history of this place. 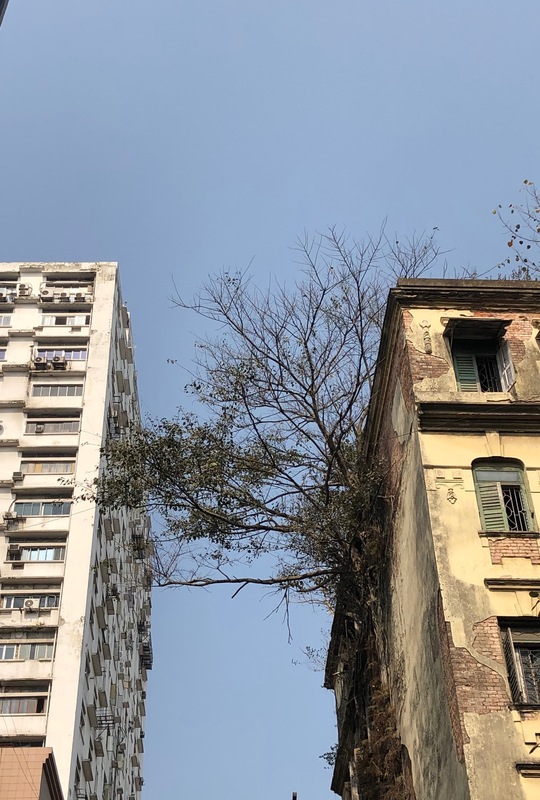 Our guide hops in and rattles off a brief introduction to the place, and lists out the names of the seven gates (in local parlance called a Pol) – Padan Pol, Bhairon Pol, Hanuman Pol, Ganesh Pol, Jodla Pol, Laxman Pol and the main gate is named Ram Pol. We see massive stone structures with secure fortifications and pointed arches to fend off elephants and cannon shots. The top of the gates have notched parapets for archers to shoot at the enemy. We take the circular road within the fort that links all the gates and provides access to all the monuments within the fort. Entrance to the Padmini Palace. Ever since I read about Chittor in my school history books, I have always been fascinated by the legendary tale of the beautiful Rani Padmini, who has always been seen as a symbol of beauty and courage. I am very keen to actually step into the watchtower, to have a view of the famous Padmini Palace, through an arched window. Legend has it that this is where Alauddin Khilji was permitted to take a glimpse at the reflection of Rani Padmini, wife of Maharana Rattan Singh from a mirror placed in the main hall of the palace. Apparently, this image of Padmini so besotted him, that he set out to destroy Chittor in order to possess her. The ensuing battle took Maharana Rattan Singh’s life and Rani Padmini committed Jauhar. We all know about Rani Padmini’s beauty and her fate as it lies woven into the folklore of the region as an eternal legend in the history of Chittor. 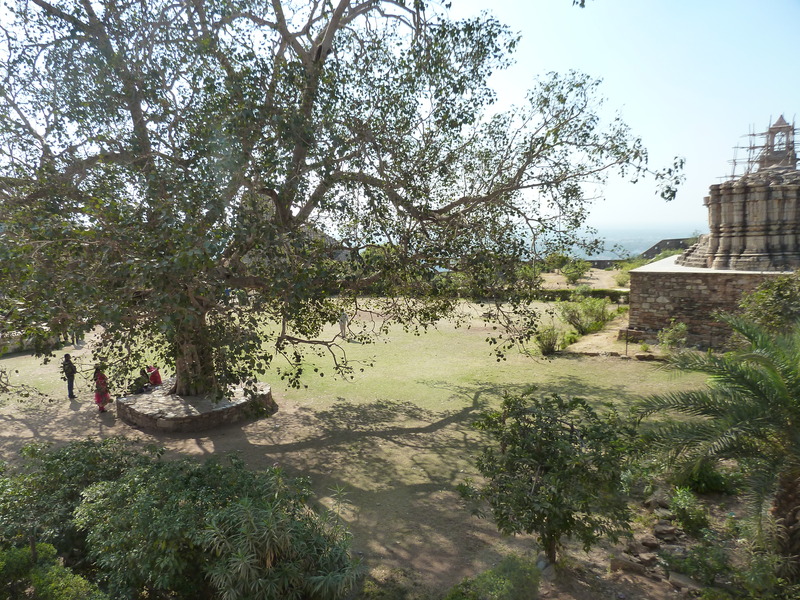 I was familiar about the Jauhars that took place here in this fort, but the fact that three Jauhars took place here was news to me. I also learnt that a vast number of Rajput descendants of the princely families take out a procession each year to celebrate the bravery and courage of those who gave their lives during those events and remember them. This tribute to the ancestors seemed very moving to me! 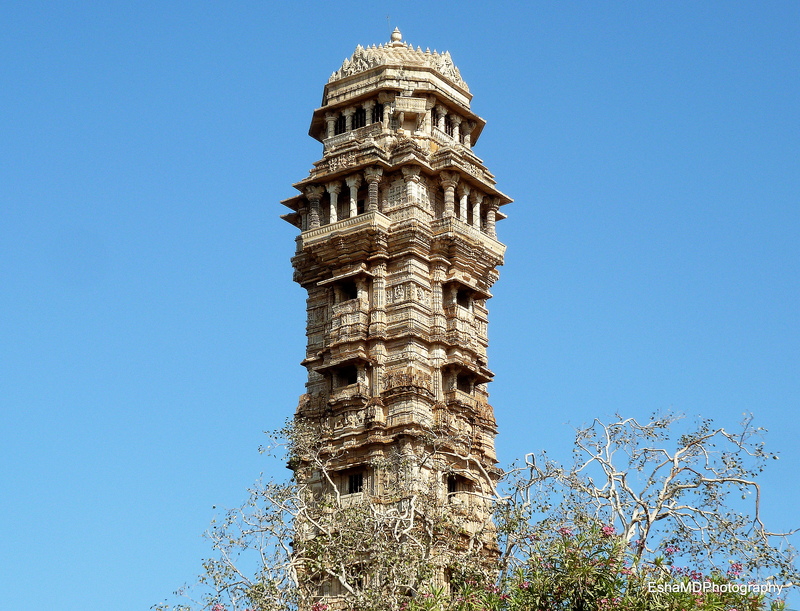 Vijay Stambha or the ‘Tower of Victory’. 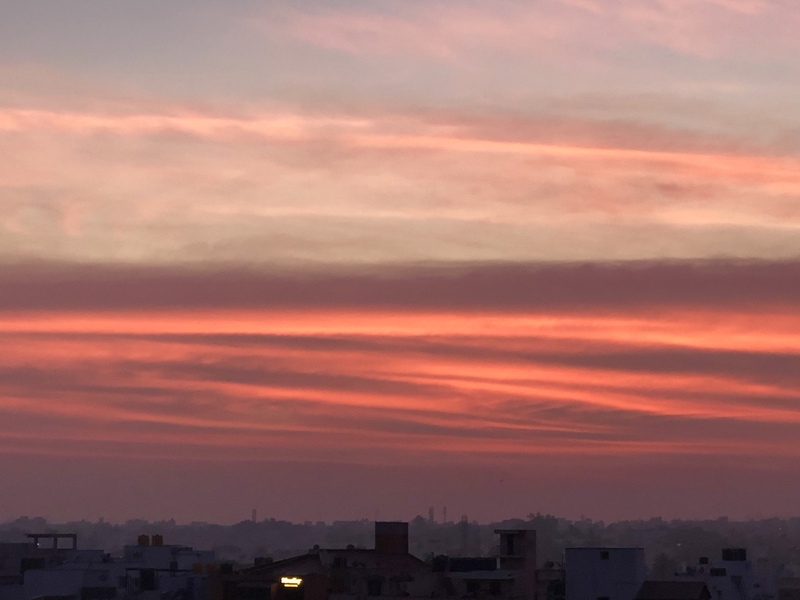 From there, a short walk away, there stands the magestic tower, the Vijay Stambha (Tower of Victory) that symbolises Rana Kumbha’s triumph over Mahmud Shah Khilji, the Sultan of Malwa. 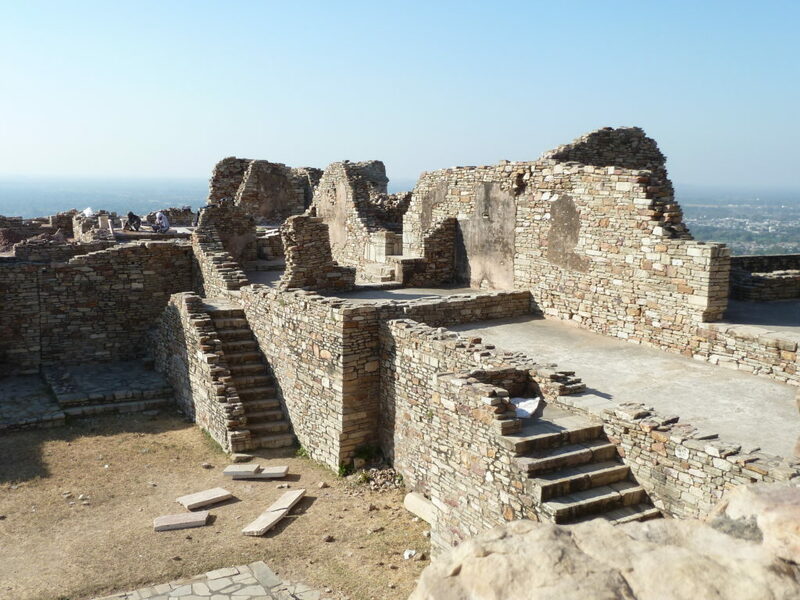 The structure which was built over a period of ten years, has a narrow circular staircase of 157 steps that go right up to the 8th floor, and from there, you get to have a splendid view of the plains below and the town of Chittor. A little further down is the Kirti Stambh (Tower of Fame) another important monument built in the 12th century dedicated to Adinath, the first Jain Tirthankara. 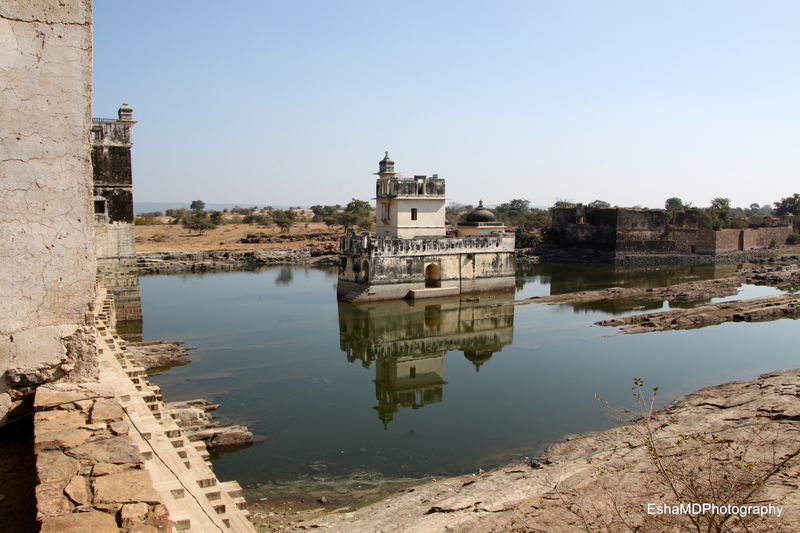 The Gaumukh Reservoir is an interesting feature of the fort. It is said that originally there used to be eighty-four water bodies inside the fort, but today, only twenty-two exist. These include the ponds, the wells and the stepwells. The reservoir is located right at the edge of a sharp cliff that rises steeply. It is actually a deep tank filled by a spring coming from a rock shaped like a cow’s mouth. Our guide tells us that it is considered sacred if you feed the fishes here. I am watching a group of tourists desperately posing on the steps that go down into the reservoir. 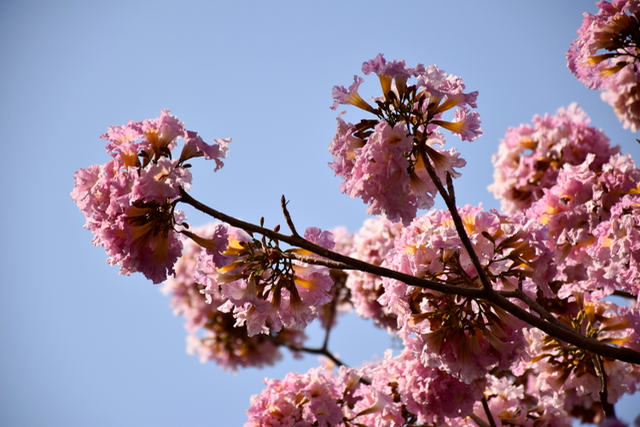 This is also my moment to take stock of my photographs. My feet are tired. But, I’m not in any hurry to go back to the hotel. Within the fort precinct, I can almost feel the spirit from the past in every stone on every wall – there must be so much of history buried within this place. 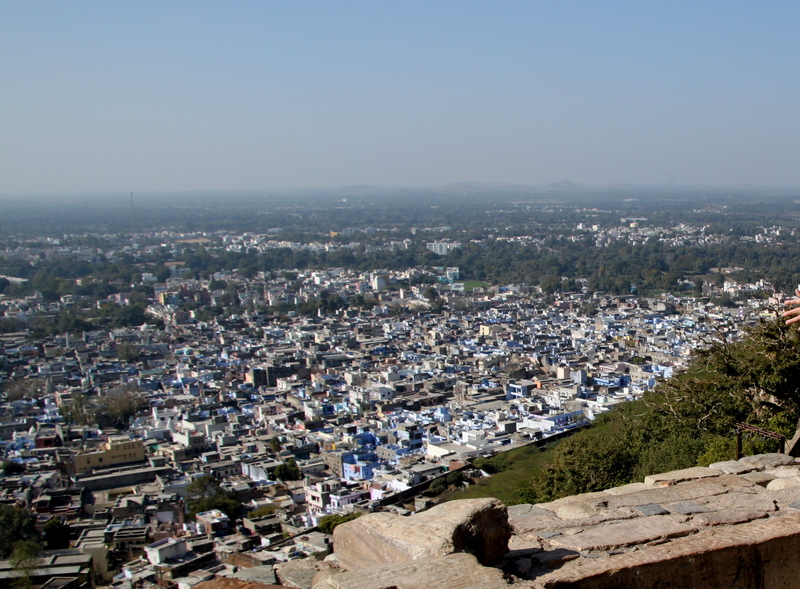 Sitting atop a stone platform, I can see the tank on one side and a birds’eye view of the town of Chittor, right in front. I manage to capture the breathtaking sight (see below)! I wish I had the luxury of sitting here undisturbed for a little longer but our guide rushes us to make way as a large group follows in. Rana Kumbha’s Palace is located close to Vijay Stambh. 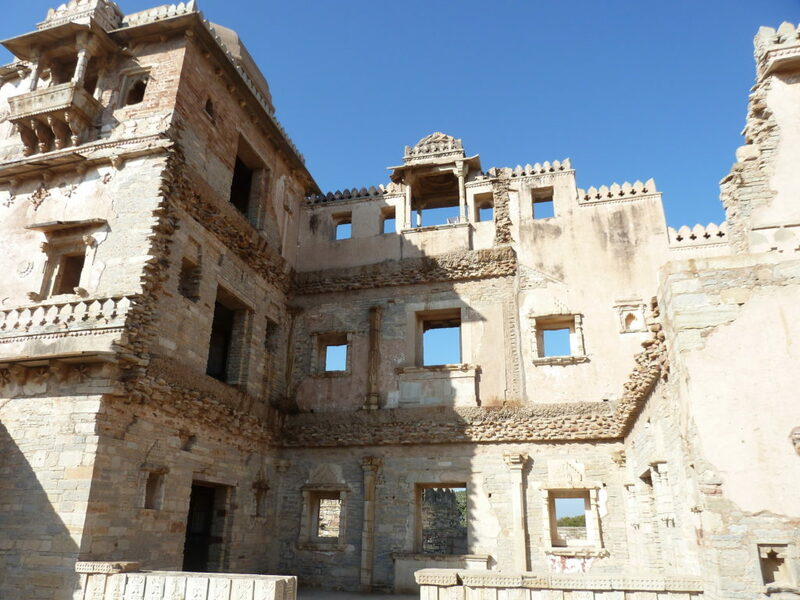 Although in ruins today, the palace marks the prosperity of Rajput architecture. Undoubtedly, this is the most massive monument in the fort of Chittor. The palace included elephant and horse stables, a water reservoir, living quarters of women and a Ganesha temple. Maharana Udai Singh, the founder of Udaipur, was born here. The residential quarters for the ladies or the ‘zenana’. Worth mentioning here, that this is where Padmini committed ‘Jauhar’ (a custom where death was considered a better option than dishonour in the face of surrender to the invading armies) along with 15,000 ladies and children of the Rajput heroes – right here, in one of the underground cellars of this very palace. In fact ‘Jauhar‘ took place thrice here, which was a bit of a shocker to me!!! 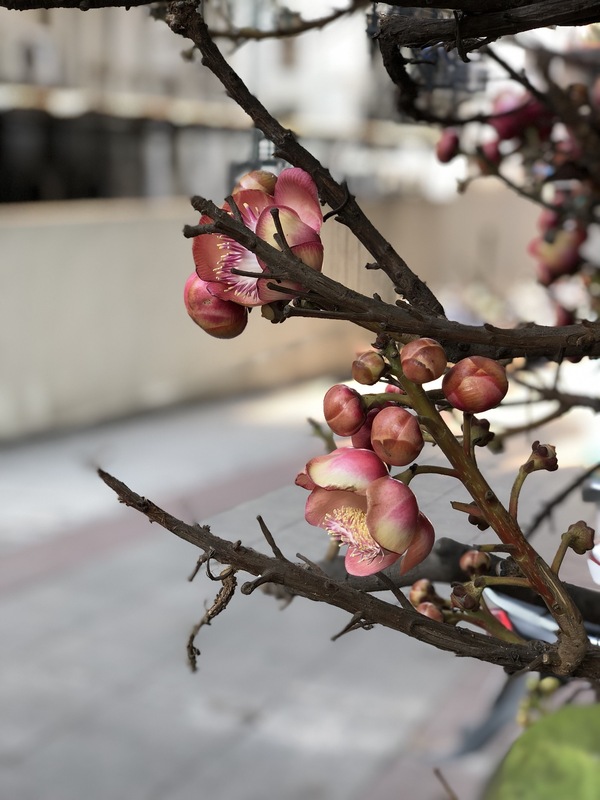 Today, the place has a garden with beautiful trees – a silent testimony to one of the most unfortunate and horrific incidents from those days long gone by. The beautiful garden where the Jauhar took place..
Of the many legends surrounding Udai Singh, one that I recall personally from my school days is about how his nurse Panna Dhai saved his life. The state of Mewar was in a turbulent state after Maharana Sanga was killed in battle against Babur, and two of his sons occupied the throne in succession. In 1536, when Udai was appointed ruler, his cousin Banbir Singh was appointed as regent until Udai came of age. Banbir, who aspired for the throne himself, plotted to kill him. One day, he entered the prince’s apartment with a sword drawn and demanded to see the child Udai. Silently, Panna pointed to the cradle where her own son, Chandan, slept. Chandan who was the decoy, got killed while the prince was whisked away in a fruit basket and was thus saved. Memories of a school play in Grade 7 came to mind. The play was in Hindi and my friend who played Panna Dhai, showed her full range of histrionics while we stared in awe of her talent, from the wings! There are many striking features that evoke the grandeur of this palace and one of them is the splendid canopied balconies, which add character to the palace. 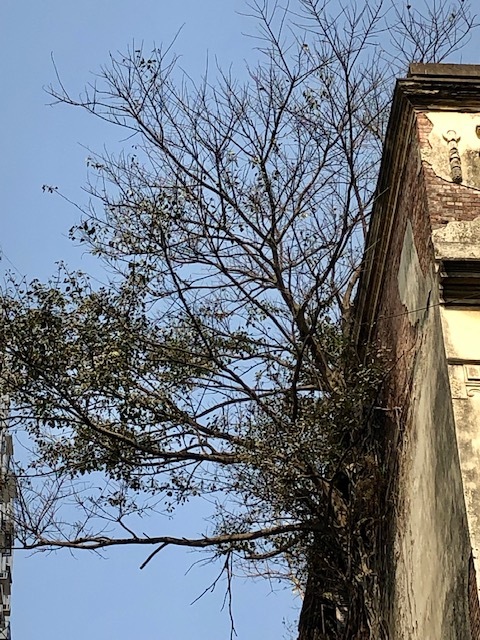 How ironic is it that this palace embraces two contradicting essences at its’ best – the valour of Padmini and the faith of Mirabai, wife of Bhoj Raj who lived in a palace that is just a minute’s walk away known as Mira’s Palace. Mirabai, as we all know, was the mystic saint-poetess, who was an ardent devotee of Lord Krishna and dedicated her entire life to His worship. She composed and sang lyrical bhajans which have now become part of the folklore and literary traditions of this region. Mira’s Palace has something about it – the sylhouette of the ruined structure kept haunting me for a long time long after I had left the place. I had taken a shot of it just before we left the ruins (see pic above) and was amazed to feel the stone pavement, where Mira lived and treaded upon – surely stones do tell a story, only we can’t hear them! Sitting amid these monumental ruins is an experience in itself, and as any visitor will vouch for, it does fuel the imagination even today, as it must have done for centuries before. The largest fort, and possibly the grandest in the state! A place studded with historical palaces, gates, temples and towers. Add to it, all those countless stories of heroism, gore, bloodshed, treachery and sacrifice woven around this place! Never mind having to wait more than three decades to come and see this place. My bucket list just got shorter. 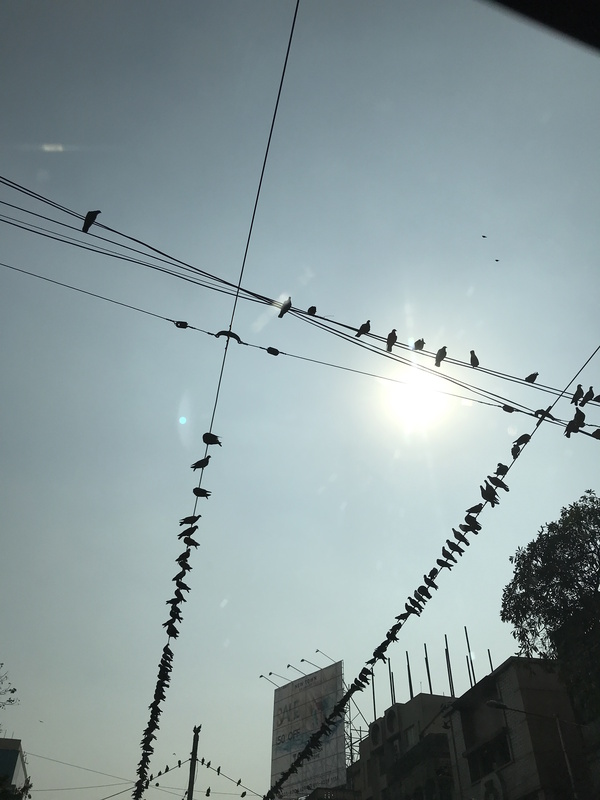 By Road: Chittorgarh is well connected to all parts of India by road. The Golden Quadrilateral Road Project and North-South-East-West corridor express ways pass through Chittorgarh City. Inter state private bus services are also available. By Rail: Chittorgarh railway station is a busy junction of western Indian Railways. It has direct rail links with all major north Indian cities including Mumbai, Delhi, Ahmedabad, Ajmer, Udaipur, Jaipur and Kota. By air: The nearest airport is Udaipur (Maharana Pratap Airport/Dabok Airport), which is about 70 kilometers from Chittorgarh and linked from New Delhi, Jaipur, Jodhpur, Ahmedabad and Mumbai. Thanks for the appreciation and for the very apt suggestions. I will incorporate them accordingly. Was mainly focussing on the important features within the fort, hence bypassed those bits. Beautifully penned Mitul. The third jowhar was the sack of Chittor by Akbar as far as I know. One of the three genocides committed by three of our greatest kings, Ashok ( Kalinga), Akbar (Chittor) and Shivaji (Surat). Yet we call them greats! Chittorgarh “fort” might have been addressed differently. A good travelog none the less. very well written.Enjoyed reading it It gave an opportunity to go back into ones school days.Would have loved to see some of the people in their colorful finery and headgears. You are a great photographer too and had one for assistance.Looking forward to more travels . Thanks so much Ashim’da. Your feedback and appreciation means a lot 🙂 I do have plenty of photographs that would be ideal for a photo blog someday! Glad you liked the post and please do visit again. First time in your blog 🙂 I love travelogues and the main reason behind it is – I cannnot write it to save my life. There are many pics I have which I want to write about but everytime I end of telling : So and So standing in front of Such and such 😛 You have written this beautifully. Wonderfully written. It brought back lovely memories of our trip.Do keep writing more about all your trips. What a wonderful set of pictures and a great write-up. I have never been to Rajasthan, but a few places are in my list now. Thanks for stopping by at Soul Talk and liking my post. You will return for more trips once you discover what a treasure house of history the state is! Going through your travelogue replete with adventure was as good as enjoying a thrilling rendezvous with Chittor with its majesty, grandeur n historical aura, so beaufifully captured by your lucid description…..!!! Very nicely narrated. I think I’ll go the Chittor now, I’m not very far away and I must do it. Thanks for visiting and glad you liked the post. Pleased to note that it made you plan a prospective trip and discover it anew. 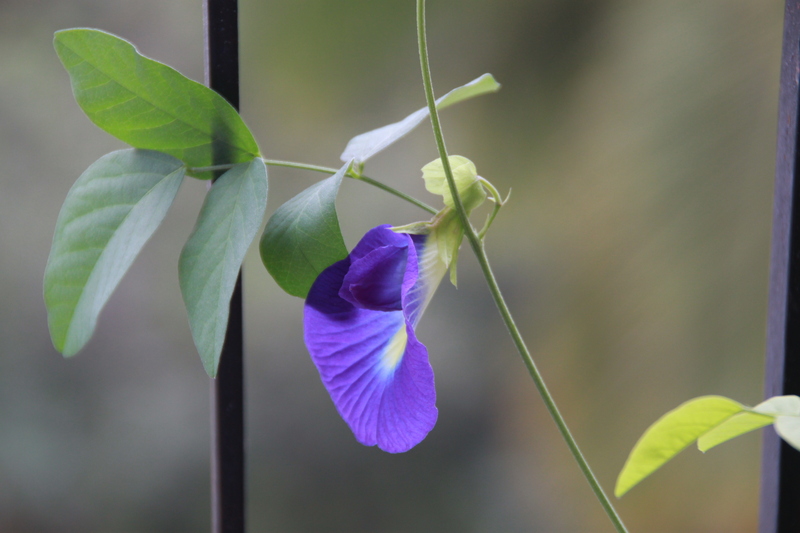 Beautiful clicks! I have yet not been to Chittorgarh though I have heard raving reviews about the place. Now, I even more keen to go. Glad to know that you too are a travel blogger. maybe we can do guest blogs for each other, sometime 🙂 Thanks to the FB group to help us connect. Thank you so much Gitanjali! A trip to Chittorgarh is a MUST, let me tell you! And, by the way, glad to connect with you, all thanks to the Write Tribe group. The idea of doing guest blogs for each other sounds great 🙂 Meanwhile do keep visiting Soul Talk! Meera bai was spouse of Bhojraj Singh who was born the eldest of the seven sons of Maharana Sangram Singh I (Rana Sanga) of Mewar. She wasn,t spouse of rana kumbha. What a fantastic fort. We had. Missed Chittorgarh, being on a drive back towards home and running short of time. But I regret not taking a stopover to explore this beautiful fort. It really is a wonderful experience! I wish you go back again and explore it next time with ample time. The architecture and the ruins are so evocative of the times gone by and a feeling of awe and wonder wraps you around as you walk amidst the ruins. 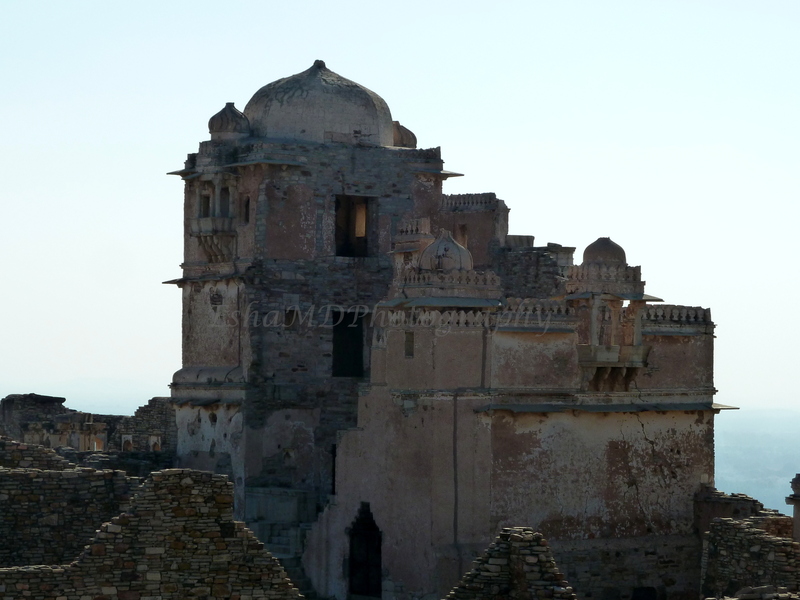 Chittorgarh is on my wishlist for a long time now and this post has just fueled the desire. Wow! You must visit Chittorgarh. Highly recommended.